Travelstart, co-organisers together with Hi5, opened the doors of their stunning headquarters at Longkloof studios once again to host the event. With the support of sponsors Heritage Wealth Partners, Enigmeir, Riders&Elephants, Offerzen, Darling Brew & Junior Burgers, the evening was set to be another roaring success! Junior and Darling Brew sponsored great burgers and beer to be enjoyed by the Disruptors. The CEO is the new talent leader. Great leaders need to be both smart and lazy. Talent management is becoming more holistic and inclusive. Staff Engagement is as important as Customer Experience. HR and recruiting processes are becoming increasingly social/community-based. More diversity in the workplace will actually produce a better company culture as well as higher profit. 3) The world of work is more automated, but the future of work is more human than ever. Technology has taken over every function of our lives — work, recreation, communication… Some workers are scared of losing their jobs to automation or AI, others are utilising technology to take over the repetitive, calculated parts of their job so that they can excel in social behaviour — emotional intelligence, empathy, creativity, etc. 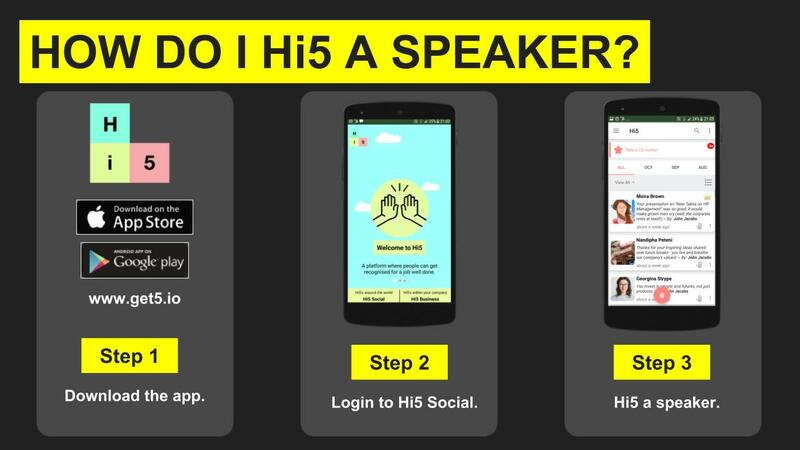 Attendees could vote for their favourite speakers by giving them a Hi5 using the Hi5 App. There was also some serious tweeting happening as they spoke, with people watching on the social sidelines to get the low down of what was being said. The winning speaker with the most Hi5’s and backing was Jen van Heerden from GradConnection with her talk, Going wild: Finding and recruiting free-range graduates. She won an amazing flight voucher sponsored by Travelstart! DisruptHRCPT MC, Lee Watts, and Hi5 CEO, Gary Willmott, handing over Jen’s prize — 2 x Return Economy Class tickets via Airlink. 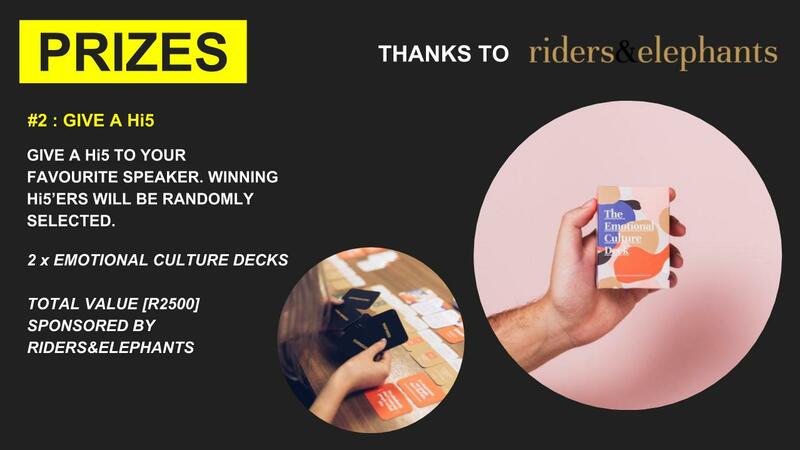 Riders&Elephants, a New Zealand-based company, sponsored 2 x Emotional Culture decks — an insanely simple, collaborative card deck tool for creating your company’s values. These were given to randomly selected Hi5'ers, Elrika Ferrera & Naomi Bruwer. Hi5 has partnered with Riders&Elephants to offer a 25% discount on The Emotional Culture Deck — check it out. The venue was so packed that some attendees had to take ‘standing seats’ — luckily their strength was renewed by Darling Brew’s tasty craft beers and Junior’s delicious burgers 😋🍔🍻 I enjoyed Darling Brew’s Long Claw (very tasty and zesty, not too much of a bitter aftertaste) with Junior’s beef burger (wow, blew my mind!). 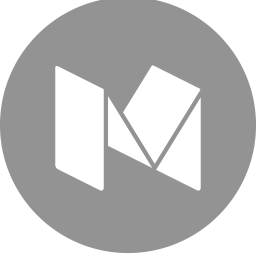 DisruptHR is great for mingling with like-minded professionals whilst also challenging your own thinking about talent management. In my opinion, this event has been the best DisruptHR in Cape Town so far! 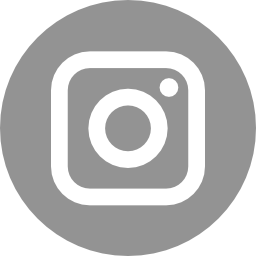 The next #DisruptHRCPT event will take place on 7 March 2019. Get your special price Super Early Bird tickets now!